Portman plays Nina, a ballerina who’s descent into madness parallels her accomplishment of getting cast as the lead in her company’s production of Swan Lake. 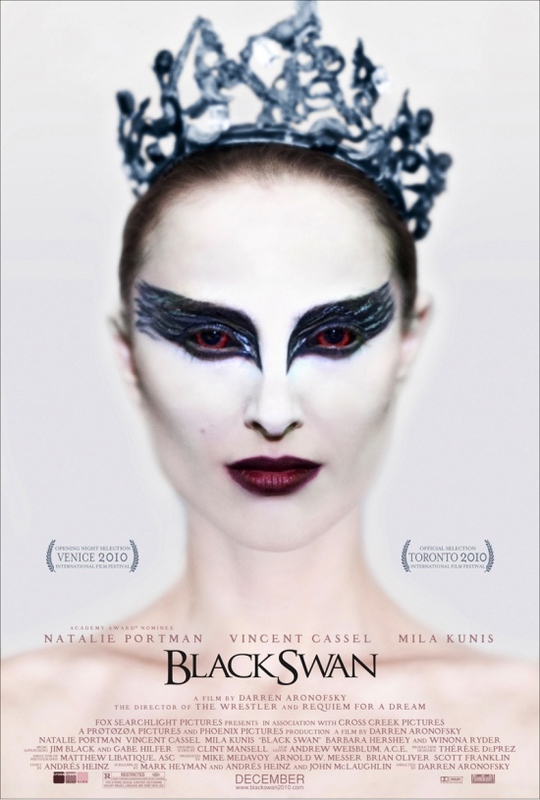 Over the top, visually stunning, and frighteningly suspenseful Black Swan features magnificent performances throughout. Portman’s character is emotionally unstable, striving for perfection and socially stilted and her performance is remarkable. Mila Kunis also shines in her role as another ballerina, as does Cassel as the ballet director and Hershey as Portman’s mother. One of the most striking things of the film is that you aren’t entirely sure what is actually happening, as Nina’s delirium blurs the line between her reality and fantasy. The film is intense, shockingly surreal and one of the most captivating films of the year. Aronofsky has created an unforgettable, dark comic fairy tale that is both exhilarating and exhausting that winds up being the possible first remarkable film in the genre of balletsploitation.